His work has been described as 'reaching an inexpressible purity' (Le Monde), 'nerve torture' (Süddeutsche Zeitung), 'dreamy post-rock' (New York Times), 'never-ending, sugar-sweet' (Neue Zürcher Zeitung), and 'between academic schmaltz and avantgarde-pop' (Zitty Magazine, Berlin). His music has been performed by BBC Symphony Orchestra (conductor Brett Dean), Decibel, Either/Or Ensemble, ELISION ensemble, ensemble Mosaik, Ensemble Offspring, ensemble recherche, ensemble XII, Klangforum Wien, KNM Berlin, Line Upon Line Percussion, Les Percussions de Strasbourg, the Philharmonic Orchestra State Theater Cottbus (conductor Evan Christ), Quartett PLUS 1, Third Coast Percussion, and YARN/WIRE, among others. His work has been presented at various international festivals and concert series including Acara Festival Salihara (Jakarta, Indonesia), Berlin in Lights (Carnegie Hall, NYC), Festival Présences (Radio France, Paris), Hawler International Theater Festival (Erbil, Iraq), Lucerne Festival, Monday Evening Concerts (Los Angeles, USA), Rainy Days (Luxembourg), and Ultima Festival (Oslo, Norway). 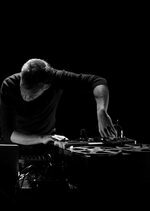 As performer, Thomas Meadowcroft has performed at various international festivals and venues including Holland Festival, Issue Project Room (Brooklyn, USA) and Maerzmusik (Berlin, Germany). His early compositions for European new music ensembles exhibit 'art brut' tendencies such as monotonous harmony, found-objects, feedback and square wave organs. More recent work has focused on aspects of regional Australian culture. The 2016 radiophonic work, Moving Homes, co-commissioned by Deutschlandradio Kultur and ABC Creative Audio Unit, is set on an imaginary stretch of Queensland coastline which is prone to tropical cyclones and the ensuing loss of personal property. Song Buslines (2013), also commissioned by Deutschlandradio Kultur, describes the routes of long-haul bus trips along the east coast of Australia. The engine of a Holden Monaro belonging to Meadowcroft's cousin is the featured sound source in the 2008 installation, Monaro Eden (first exhibited at GOMA, Brisbane). Questions of ecology, and the untenability and redundancy of arts practice have also featured in his more recent work. Texts by biologist Edward O Wilson are juxtaposed with the sweet nothings of anonymous lovers in Eremozoic Age Lovers (2014), commissioned by SWR Vokalensemble. The Great Knot (2011), commissioned by Speak Percussion, is a poetic response to the migratory patterns of the bird, the great knot. Opera Abstract, a three-minute-opera-on-a-loop, is a marketing pitch for funding an opera in outer space. It was premiered at the Münchener Biennale in 2012. In 2015, Meadowcroft collaborated with Dirk Von Lowtzow on the music for Von einem der auszog, weil er sich die Miete nicht mehr leisten konnte, arranging and orchestrating von Lowtzow's music for the German Film Orchestra Babelsberg (conductor Oliver Pohl). The opera, directed by René Pollesch, premiered at Volksbühne, Berlin. Most recently, Thomas's orchestral work, The News in Music (Tabloid Lament), which explores codified power and information redundancy in news and orchestral media, was commissioned by South West German Radio Symphony Orchestra (cond. Ilan Volkov) and premiered at Donaueschinger Musiktage in 2017. Thomas Meadowcroft has undertaken artist residencies at the Villa Aurora Los Angeles (courtesy of the German Foreign Office), Cité des arts Paris (courtesy of the Berlin Senate for Cultural Affairs), and the Peggy Glanville-Hicks Composers' House, Sydney. His music and/or arrangements have been released on Skirl, Mikroton, Telos and Vertigo/Universal labels. Medieval Rococo : for alto flute, clarinet in Bb, percussion, harpsichord and playback (2016) Commissioned by Ensemble Offspring. Cradles : for percussion duo, with live or pre-recorded Wurlitzer e-piano (2013) Commissioned by Maerzmusik Berlin, Julian Burnside. Walkman Antiquarian : for grand piano, sampler and two percussion (2013) Commissioned by Yarn/Wire (musical group). The Great knot : for percussion trio (2011) Commissioned by Speak Percussion.